By a long way, the Ivory White SF500 is the rarest of the range. This guitar is in very good condition or its age, considering it is almost 40 years! Unfortunately the spots of damage to the body do show up more due to the colour of the finish. I’ve never had these spots repaired due to the complicated nature of colour matching any shades of white, especially this sort of Ivory colour. There are some scratches to the lacquer on the reverse of the neck, but nothing deep enough to break through. There are however some chips through the paint on the back/bottom of the body. See photos. The pickup covers are obviously scratched, but I challenge you to find a Super Flighter that doesn’t have scratched pickups! I have had the p’up covers on another one of my SFs power-coated for about £15, so it’s not a hard thing to rectify if you’re into restoration. 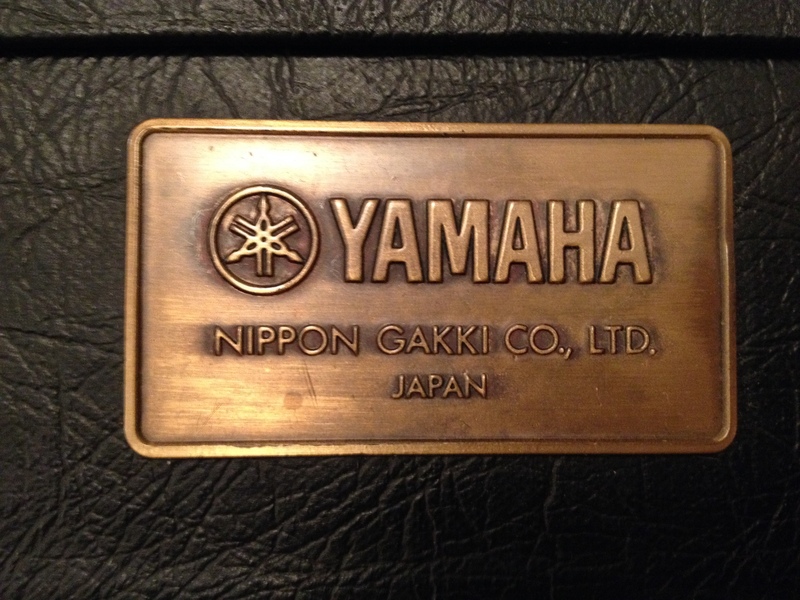 Included with the sale is the original Yamaha hard case. Other than a ring of adhesive residue from a previous owner’s sticker, it’s in pretty good condition and is structurally sound.